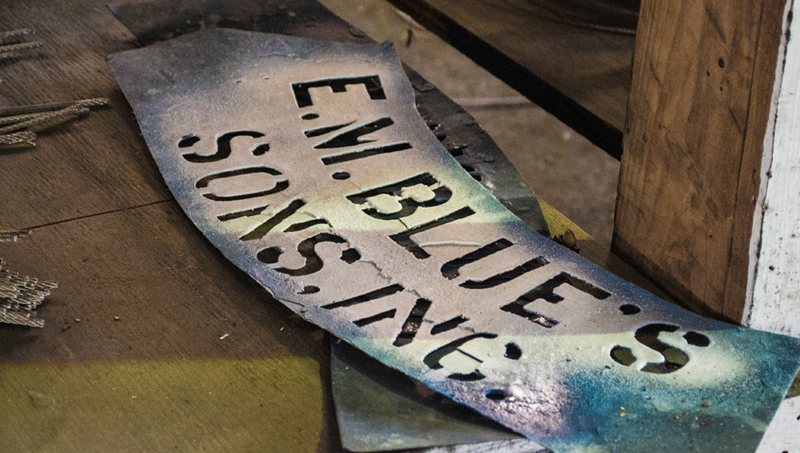 EM Blues was established in 1934 with a focus on wire rope, sling, cabling and assembly fabrication. 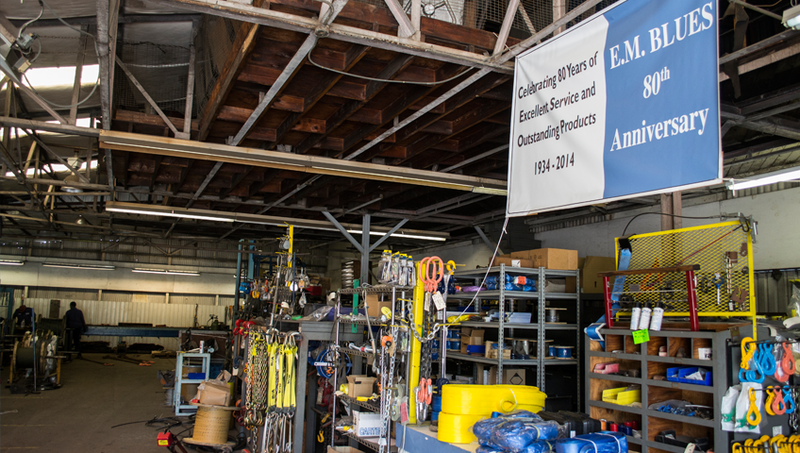 EM Blues has become a full service supplier in distributing steel wire ropes, lifting slings, and rigging hardware to serve our clients needs in the Oil and Gas, Crane and Rigging, Off Shore, Marine and Construction industries. EM Blues clients appreciate our time tested maxim of delivering products and services with honesty and integrity and in return they have remained long term valued customers. In order to meet the growth of our customers’ needs, EM Blues has updated and expanded our range of wire rope assembly production and testing equipment, increased and broadened our already comprehensive inventory of wire rope sling components. Recently we have expanded our product line to include Architectural (Railing) cables, small diameter cable assemblies, and safety lanyards. As you explore EM Blues website, you'll get an idea of our range of products and services. While we feel there is a good balance of the items frequently requested by our clients, kindly note that there are numerous products and services that can't shown at this time. If you don't see the product you're looking for, please request a product quote from the EM Blues sales office directly. EM Blues will be adding even more products, product features, safety and technical information to the site in the very near future. We at EM Blues remain committed to your service and product needs. We hope that your visit to our site is informative regarding our products and services. If for some reason you are unable to find the information you need, please go to our “contact us” page and let us know what we can do to assist you.